OME centrifugal pumps run smoothly and quietly, and are the sanitary industry’s leading pumps for reliability, high performance, and efficiency. The versatile heavy-duty pump is the cornerstone of the OME line. 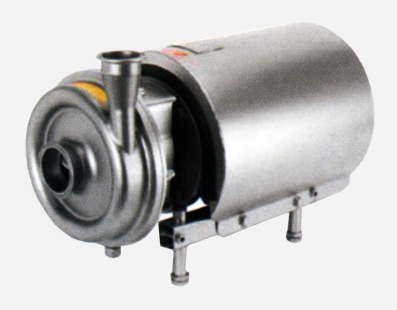 For vacuum withdrawal from evaporators, viscous, hot or abrasive products, and many other applications, the OME Series is the benchmark for the sanitary processing industry. The OME Series centrifugal pump features the same high-performance pump head. The OME is the pump of choice for most conventional applications. Superior value results from its mounting style and the use of a single internal seal. A OME centrifugal pump’s housing, cover, and impeller are made from 31 6L stainless steel castings and forgings for more substantial mass. Due to its solid construction, a OME centrifugal can withstand more hydraulic shock and cavitations which can ruin a pump. Internal clearances are as tight as 0.5 mm, making the pumps highly efficient and very gentle on product.